Welcome to Day 05 of Half Hour of Power! Today I wanted to challenge myself a little and choose something that I had no preconceived bias toward, whether good or bad. So I dug through my Steam library until I found a title that none of my Steam friends had played and also one that I couldn’t remember purchasing for any particular reason (ie: it was probably part of a larger bundle at some point). 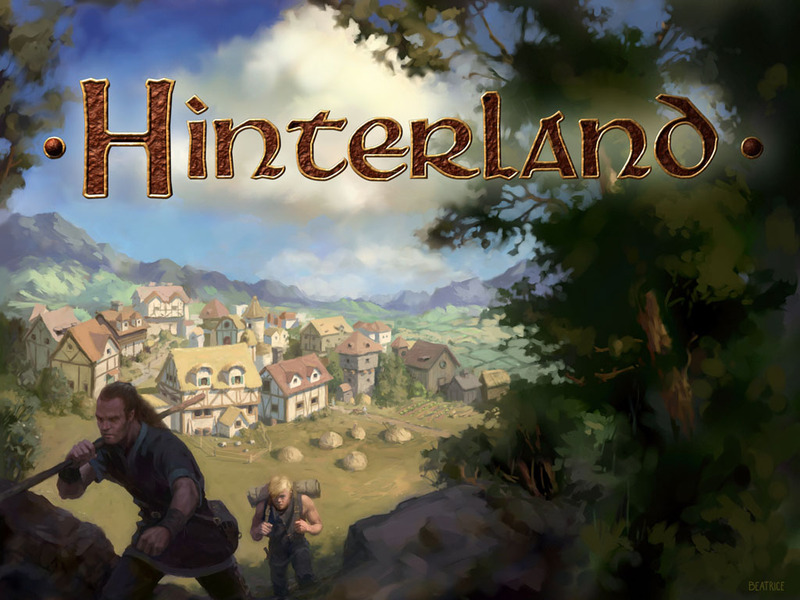 The result was the point-and-click RPG city-builder fusion: Hinterland. This genre combination seemed like an interesting choice at first, but fell prey to the Communism Effect; sounding good on paper, but ultimately failing when put into practice. It initially reminded me of an old favorite, Majesty, except that, instead of ruling as the omnipresent ethereal overlord type being in Majesty, you play as a king’s vassal that has been given a plot of land and commanded to build a city. This concept really should have brought home a sense of connection from the player to the character, but it somehow felt flat. In Majesty, I liked choosing a random Knight or random Archer and following them around as they fought enemies and discovered new areas of the map that I placed bounties on. I was sad if they perished, but I always managed to find a new little hero to follow around. 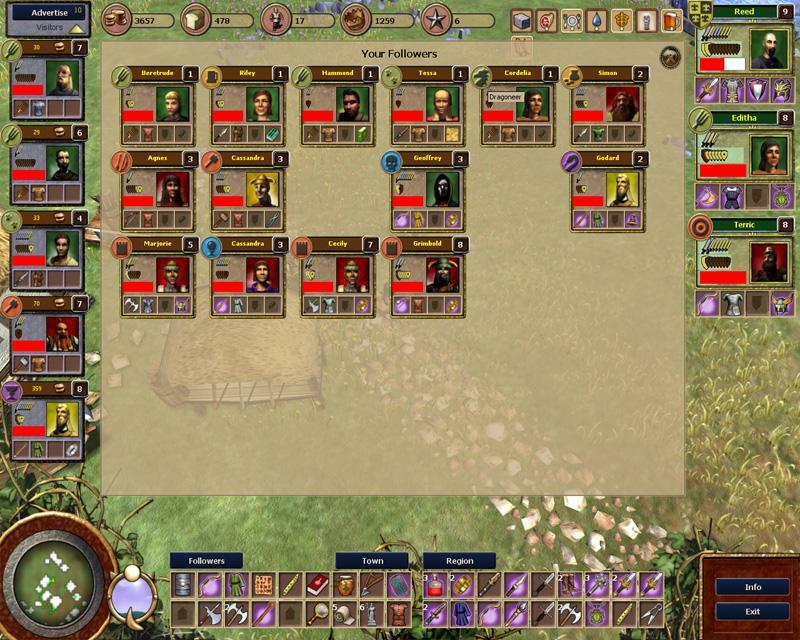 Whereas, in Hinterland, now I have control over one of those heroes and he’s also the quasi-Lord of this estate, yet it somehow just doesn’t resonate as strongly as my multiple complete playthroughs of Majesty have. That being said, I did like the traditional point-and-click style combat that I was able to do in Hinterland. But even that was marred by the lack of, or at least too my knowledge, auto-loot system. Which really brings me to the crux of the problem I had with Hinterland: I had very little idea what I was actually doing for most of the game. I completely understand the concept of learning through game mechanics and natural play instead of boring tutorials and endless pop-up menus. In fact, I adore when games successfully, emphasis intended, accomplish this feat. Hinterland starts you out with a character selection of twenty-something different classes, with differing amounts of flavor text to let you have some modicum of information as to what they might portend, (the Trickster class legitimately says, “Not much is known about the Trickster…”) and a couple of game settings. Assuming that since Mercenary was the first pick it was the “noob” class, I promptly selected it and Easy difficulty / Short game. Yeah, this guy sounds like a real winner. 1) You need food to survive. 2) Kill things around your camp for gold. 3) Doing what the King wants gives you fame. Obviously, I’m being a little obtuse to exacerbate a point, but still, it’s kind of insane how much the developers apparently wanted you to ascertain through organic play. Which would even still be okay, kind of, for me given that I’ve played my lion’s share of video games and in doing so have learned some commonalities among the genres. Unfortunately, the game isn’t even capable of abetting the player in the simplest of things. For instance, I knew I needed food in order to keep my townspeople and myself alive. It was very evident even before the red pop-up kept telling me my food stores were low. Yet with all it’s complicated randomly generated visitors, it wasn’t until the seventh day that I actually had a Farmer-type come visit me and grant me some food allocation. That’s just ridiculous. I’m hoping that a fail-safe was somehow programmed into the game, but I doubt it. What if he hadn’t come? Maybe there’s another way to generate foodstuffs, but I certainly couldn’t find it. Furthermore, I spent 99% of my play time just running around the wilderness slaying various beasts and would-be attackers for “fame” and gold, but the only return I ever saw was the ability to purchase more townspeople to devour my ever-dwindling food supply. Now, I know it might seem like I’m condemning the game pretty hard. But truth be told, I can see where, once someone was acclimated with the various nuances of the game, it could get pretty interesting and satisfy a craving for a both a city-builder and a sort of low-depth RPG. However, with much better titles out there in both genres that do everything Hinterland tried to do better, albeit separately, I can’t see it being too much of a contender for your time. 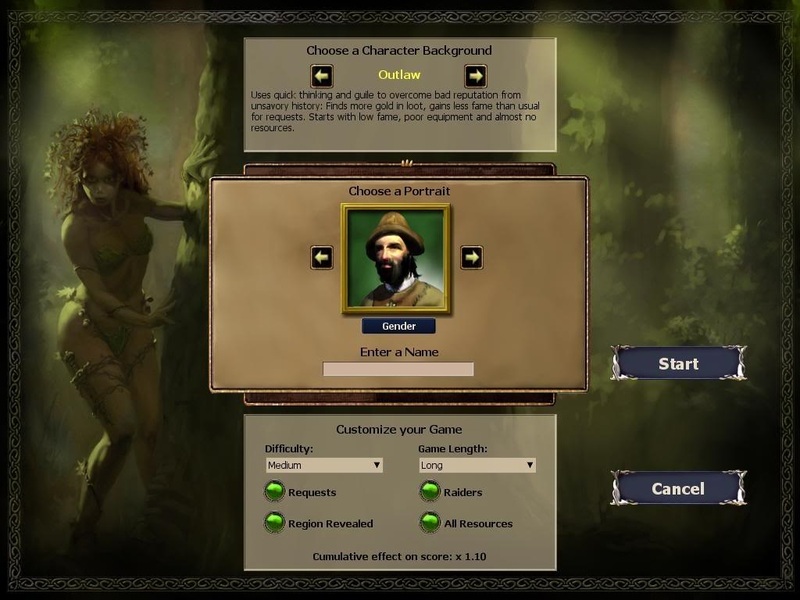 The developer’s assumption that every player would automatically understand the depth and complexity of the game they created is undoubtedly Hinterland’s biggest misstep, but buried beneath confusing town attributes and an interesting, yet ultimately under-utilized mechanic whereupon your townspeople would quit working and take up arms, is a decent enough game for the niche, sycophantic enthusiast. So much information, I don’t even.